Children have the right to a great education — and a safe one. Dropping off a child at school should be rewarding, not worrisome. 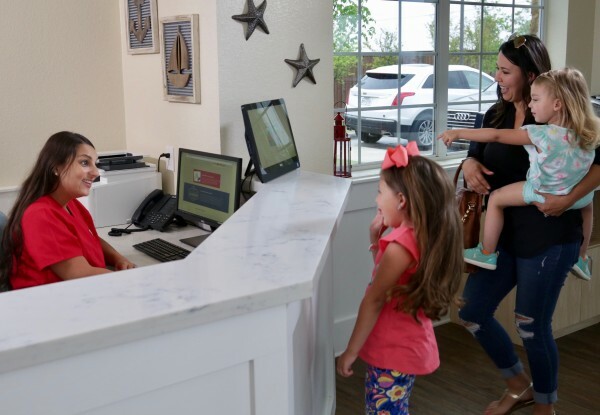 The staff at Children's Lighthouse go the extra mile to make sure you leave with peace of mind — knowing all day that your child is learning, having fun and, most importantly, safe. Children's Lighthouse proudly leads the industry in childcare safety practices. Appropriate student-to-teacher ratios are an important aspect of our schools to help provide your child with the attention they need from their teachers. Children's Lighthouse teachers and staff are rigorously screened using FBI fingerprinting and background checks. In addition, teachers are CPR and first aid certified for infants, toddlers and adults. We have strict procedures in place to ensure that every one of our staff members meets or exceeds all of the minimum regulatory agencies' requirements. For example, we provide continuing education courses for age-appropriate educational techniques, and health and safety practices. Teachers are trained to keep children of every age safe. All of our teachers are trained in SIDS prevention and safe sleeping practices for infants. Children's Lighthouse classrooms are designed for safety. Procedures are in place so that children are only released to people that you have authorized. Every pre-authorized person must show a photo ID before any child is released to them. At Children's Lighthouse, we do a "Child Release Double Check." Both the teachers and the front office staff must check to make sure your child leaves our school with only the appropriate individuals. Children's Lighthouse schools were designed for safety from the beginning. Our buildings are always kept locked, with a single, secure point of entry for parents and visitors. Each parent has a unique code to make sure only those allowed are able to enter. Buildings have multiple exit doors that are secured from the outside but provide for quick evacuation in any emergency. Teachers and children participate in drills and are regularly trained for fire, weather and lockdown emergencies. 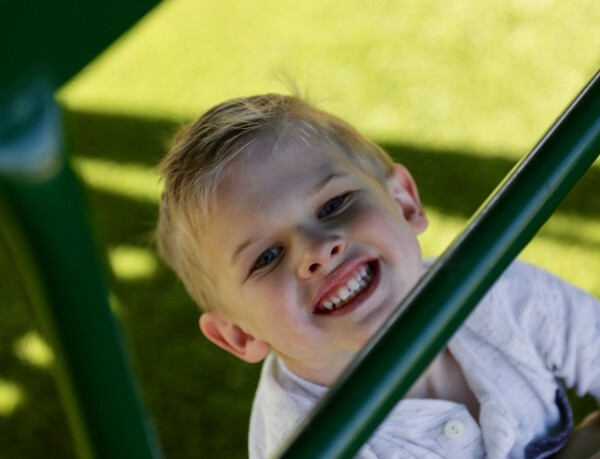 Children at different age levels play differently, so our playgrounds are built around them. 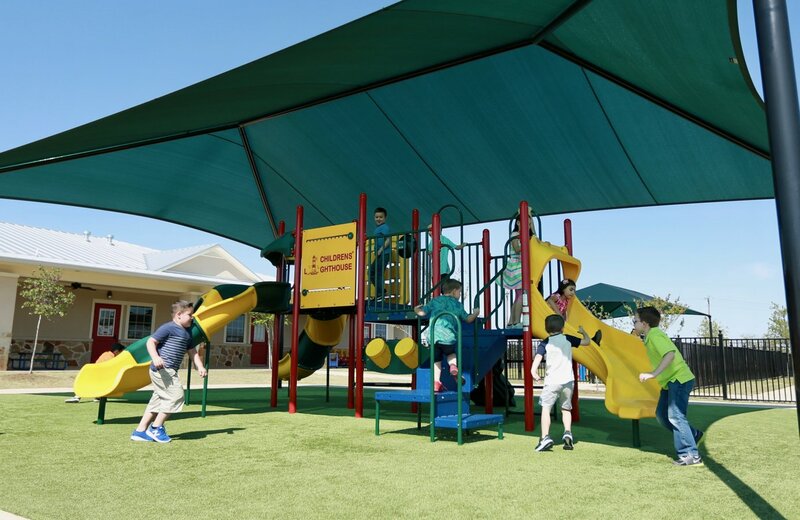 All of the equipment is designed at appropriate heights with proper fall-zone materials to help keep the children safe. Each playground is equipped with shade features to keep children protected from the harsh summer sun. Teachers are also trained on how to “supervise for safety” while children are outside to keep the children engaged in safe outdoor activities. Transportation safety procedures for field trips and school pickups go above and beyond all state minimum standards to ensure that every child enters and exits the bus safely. Children's Lighthouse transportation safety procedures are so effective that they have even been featured on local news stations. Keeping your child safe is the top priority for everyone at Children's Lighthouse. It's woven into everything we do, so you can have peace of mind and trust that your child is in the best care.